V.A. - Fair EP 12"
V.A. - EP 4 12"
V.A. - The Many Shades Of Soul Notes Volume 2 12"
V.A. - Dear House, With Love! 12"
V.A. - Parquet Most Wanted EP 8 12"
V.A. 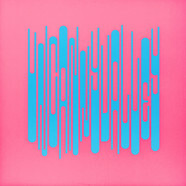 - Uncanny Valley 50.1 12"
V.A. - Ovnie 001 12"
V.A. - 55 EP 12"
V.A. - POD Edits #3 12"
V.A. 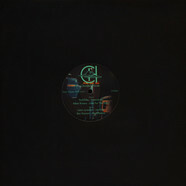 - Monday Night Underground 12"
V.A. - Parquet Most Wanted EP 10 12"
V.A. - Simply The West Volume 01 12"
V.A. - Ralph Lawson presents Back To Basics Rare Classics Volume 1 12"
V.A. - Open Spaces Quantum Experience 12"
V.A. - Smallhours 01 12"
V.A. - Watergate 25 EP #1 12"
V.A. - Moblack Sampler Volume 3 12"
V.A. - Random Edits #2 12"
V.A. - The Various Volume 1 12"
V.A. - Pelvis Presents DJ Tools Volume 2 12"
V.A. - Guardians Of A Kids Society 12"
V.A. 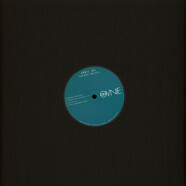 - The Deep End 12"
V.A. - From Da Block #3 12"
V.A. - When Bad People Cook Good #4 12"
V.A. - Inside Me / Geist Bahn 12"
V.A. - BND Projects Volume 1 12"
V.A. 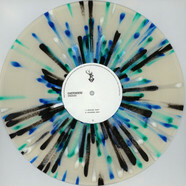 - A Slice Of The Pie II 12"
V.A. - Back To Black Volume 04 12"
V.A. - Politics Of Dancing X Chris Stussy & Sun Archive 12"
V.A. - Great Raw 002 12"
V.A. - Various Artist 2 12"
V.A. 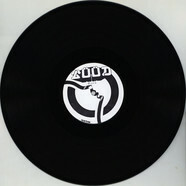 - Goodies Too Black Vinyl Edition 12"
V.A. - The Obdurate Sessions 12"
V.A. - Jacks Tracks VA Volume 3 12"
V.A. - Volume IV 12"
V.A. - Panorama Bar 07 Part 1 12"
Schenkelspreizer presents - Büchsenöffner Volume 9 12"
V.A. - Hi Hats & Low Lives 12"
V.A. - Sampler 3.0 12"
V.A. 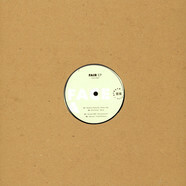 - From Da Neuf Trois Remixes 12"
V.A. - 13th Hour Volume 2 12"
V.A. 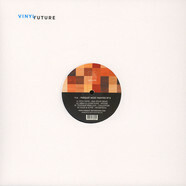 - Inermu Wax 001 12"
V.A. - Crossovers & Alley-Oops 12"
V.A. - Secret Bunch Volume 3 12"
V.A. - The Souls Of DSC Volume 2 12"
V.A. - Ararat Volume 2 12"
V.A. - Mutant City Acid 4 12"
V.A. 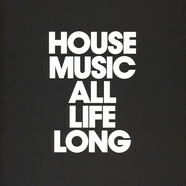 - We Play House Recordings 10 Years Sampler 4 12"
V.A. - Volume 1 12"
V.A. - Tale of Tales: Chapter 2 12"
V.A. - Club V-Bee 12"
V.A. - Riot In Lagos 12"
V.A. - Habemus Paname Volume II 12"
V.A. 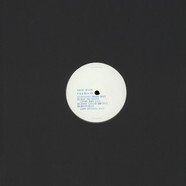 - Return And Get It 12"
V.A. - Record Review 1992 12"
V.A. - Record Review 1993 12"
V.A. - La Parenthèse House 12"
V.A. - Deep Love 100 12"
V.A. - In Any Case #1 12"
V.A. - Kukushka / Raw Tracks #1 12"
V.A. - I Am With You 12"
V.A. - Reflection Series Volume 2 12"
V.A. 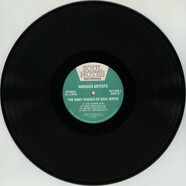 - King Street Sounds / Nite Grooves : 25 Years Of Paradise 2x12"
V.A. - EP 5 12"
V.A. - Trust Issues 12"
V.A. - Episode 1 12"
V.A. - Dream House Volume 1.1 12"
V.A. - Four Seasons Volume 3 12"
V.A. - Rotate Freely 12"
V.A. - Frank Music 08 12"
V.A. - Dream House Volume 1.2 12"
V.A. - Thank You Freaks Volume 3 12"
V.A. - Indelible Expressions Part 1 12"
V.A. - V.A. Vol. I 12"
V.A. - Tom Tam Club pt 02 12"
V.A. - Thirtyfive Ways 12"
V.A. - Par Avion EP 12"
V.A. - Box Aus Holz 008 12"
V.A. - Sound Sampler Vol. 1 12"
V.A. - 5 Years Anniversary Series 01 12"
V.A. - Uncanny Valley 002 12"